A Member of the Divan. Ottoman Empire officials. Home » A Member of the Divan. Ottoman Empire officials. A Member of the Divan. 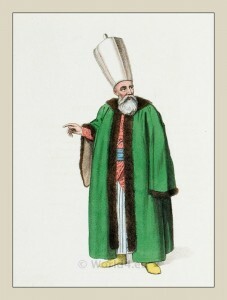 THE Divan, or council of the Grand Vizier, was formerly composed of only six other viziers or pachas of three tails; to whom, when the law was to be consulted, it was usual to add the mufti. But when Selim III. ascended the throne, he abolished this council, and created another, to which every important business is entrusted. It consists of twelve of the first and most distinguished officers of the government. The Grand Vizier and the Mufti are the presidents; one, as connected with the temporal affairs of the empire, the other, as the interpreter of the law. This plate represents one of the other ten members. 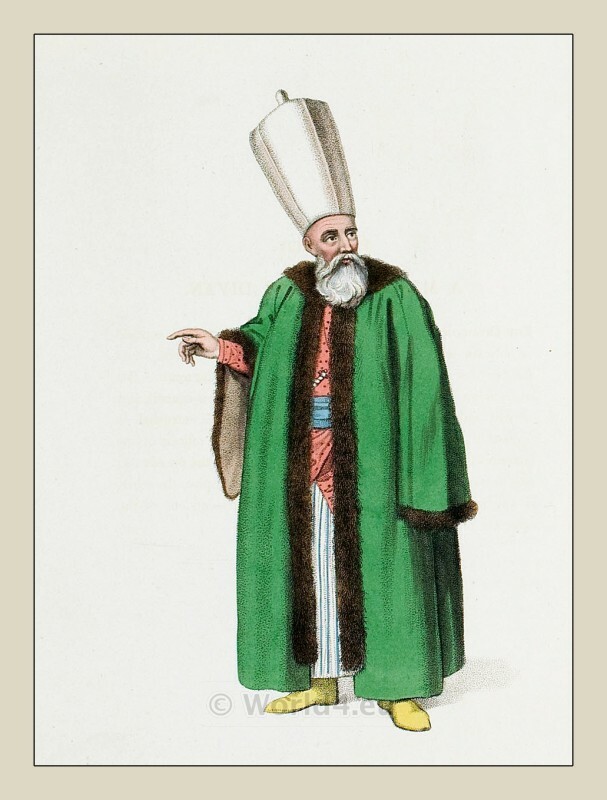 This entry was posted in 1804, 19th Century, Ottoman Empire, Turkey Costumes and tagged Octavian Dalvimart, Ottoman Empire costumes, The costume of Turkey on 2/28/13 by world4.